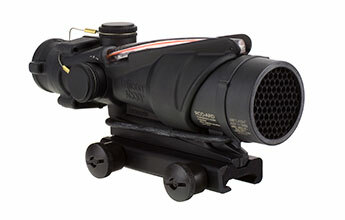 TSSi has developed this program in conjunction with Trijicon to provide eligible organizations with the ability to extend the life of critical optics while saving the Government money. The RCO Repair service will focus primarily on repairs that are prohibited by the operator or intermediate maintenance activity. 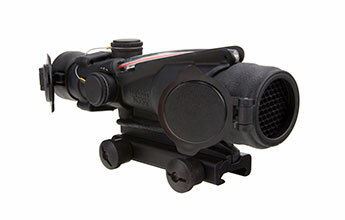 These repairs will consist of repairs that require the breach of the ACOG’s main housing. The service concept is to provide a comprehensive approach to restoring the optical and adjustment assemblies to a fully functional condition. The prism assembly will be elevated and, if deemed damaged and unserviceable, will be replaced accordingly. This will result in a complete replacement of all elements listed above plus the prism assembly. Trijicon will dispose of any ACOG that has been deemed Beyond Economic Repair (BER). BER is defined as a system that exhibits damage which results in loss of structural integrity. TSSi will coordinate with Trijicon to provide the Federal customer with formal documentation of disposal services on a system-by-system basis. Please Note: Optics serviced under this program will be restored to Condition Code "A." Condition Code "A" is defined as "serviceable and issuable without qualification, new, used, rebuilt, or reconditioned materials which is serviceable and issuable to all customers without limitation or restrictions, including material with more than six months shelf-life remaining." Rebuild is defined as "Returning an unserviceable item of equipment to serviceable condition by restoring more or all internal tolerances to "like new" specifications.